Beating the heat isn’t always possible when you are on the job. Here is some important information and easy to use resources to help you keep your employees safe from heat-related illness and injuries during the dog days of summer. There are three major heat-related illnesses to watch out for: heat stroke, heat exhaustion and heat cramps. All are caused by elevated body temperatures (hyperthermia) and can impact many of the systems in the body. Click on the links for Safety Bulletins and Shift Briefings related to prevention summer heat-related illnesses and other important tips from the MEL Safety Institute. 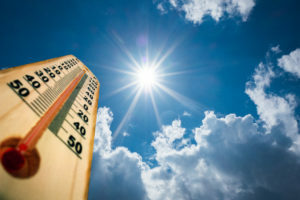 For more information about preventing and treating heat-related illnesses please visit the Mayo Clinic website at www.mayoclinic.org, the Center for Disease Control and Prevention or the National Safety Council.